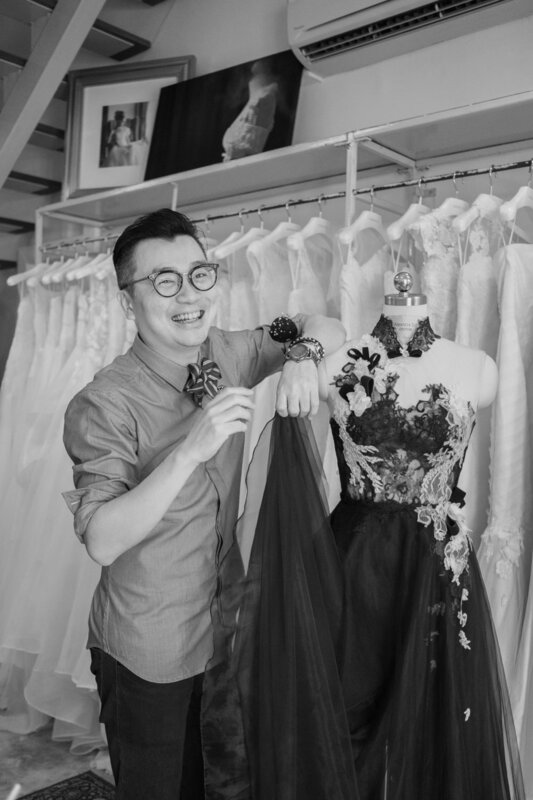 Our next designer feature sheds light on Amanda Lee Weddings' Senior Designer, Miah Tay. Known for his artful skill of combining contrasting textures and fabrics to create impressionable pieces, Miah is as quirky a person as his designs. 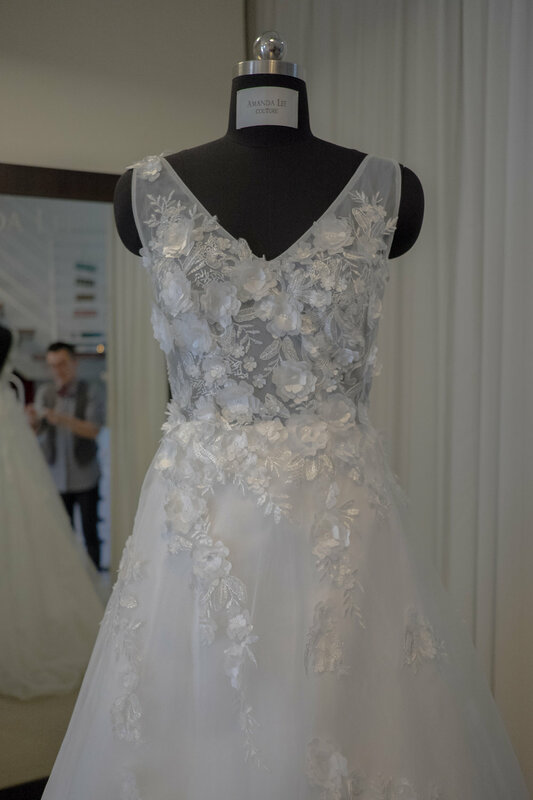 With over 15 years of experience in the industry, Miah has become a go-to for brides looking for honest workmanship and one-of-a-kind gowns. But underneath that experience is a guy with a lovable spirit and wild heart - here's what else you should know about Miah. Miah's gowns are often described as feminine and sensual. Always pushing boundaries, Miah gives the two descriptives new meaning with his creativity. Brides who have worked with him have come to recognise and love the look of soft, sheer tulle contrasted with eye-catching material. 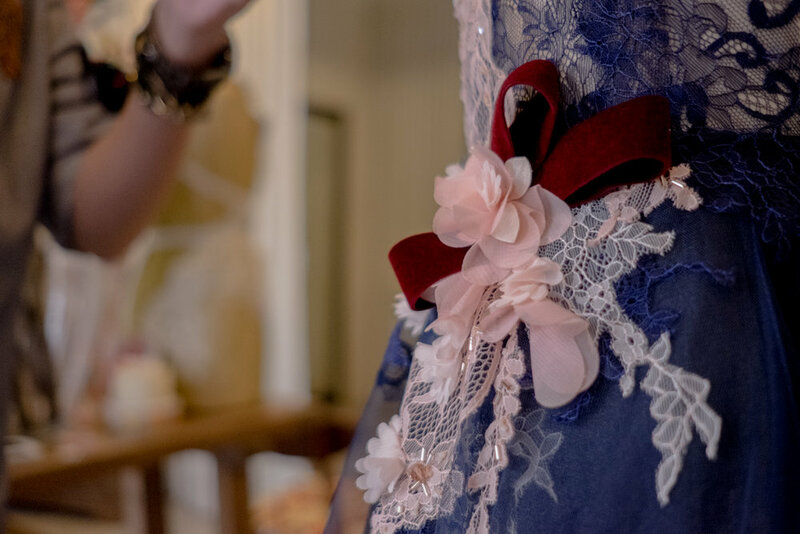 Fascinated with the intricate and luxurious designs of Haute Couture gowns since young, Miah entered the bridal industry with lofty ambitions to create gowns of such calibre. Over time, he developed a style of his own; reinterpreting what it means for brides to be beautiful in white, but also in the unconventional. 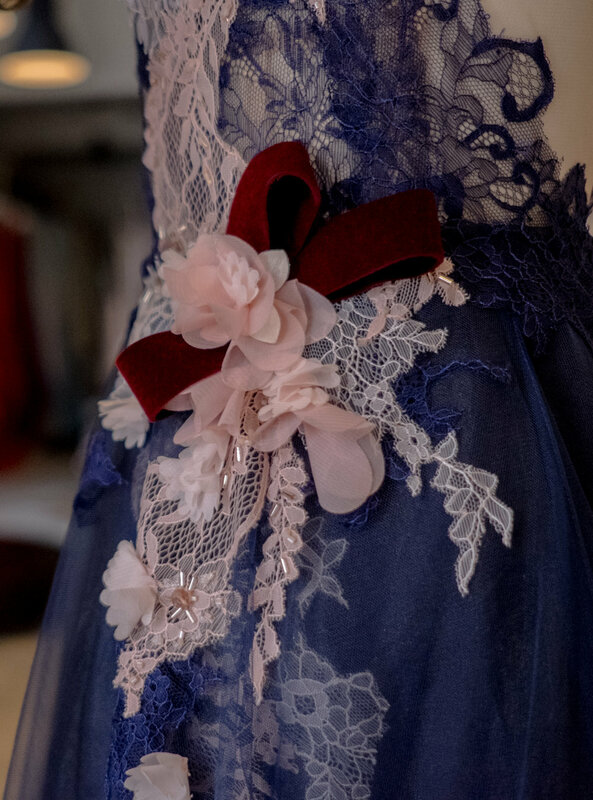 "Christian Lacroix has always been my inspiration since I saw his work in the magazines during the early 90s. His designs are rich in colors and textures. It's a daily affair to see Miah assembling different fabrics and materials when working on a new gown. 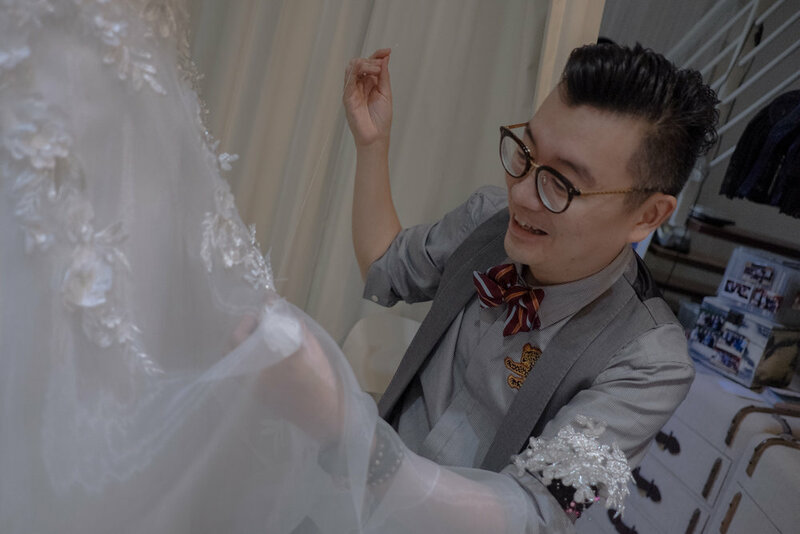 Give Miah a creative challenge in made-to-measure gowns, and he brings his creations to another level with his eye for detail. And sometimes, over classical music and chocolates too. Once in a while, we get brides who enjoy the option of having two dresses in one, and Miah does it without limiting style or silhouette choices. An intricately-laced cheongsam A-line gown can transform into a sleek cocktail dress easily with a detachable skirt. Even before knowing his passion for fashion, it's not hard to tell that Miah also believes in dressing for the occasion. In fact, every day at Amanda Lee Weddings is a day for this fashionista to walk an imaginary runway - you'll never get bored seeing him don a hundred and one combinations of casual suits and bow ties. And only Miah can look fashionable with a needle and thread in one hand, and a wicked sense of humour in the other. "How would you describe yourself in three words?" Chanel has a double C, I have a triple C!" Over the years, Miah's designs have added to Amanda Lee Weddings' noteworthy collections. Miah's imaginative ideas of fusion keep our designs fresh for different brides. Yet, the adventurous side of him would tell you that one of his crazier ideas have yet to be materialised. 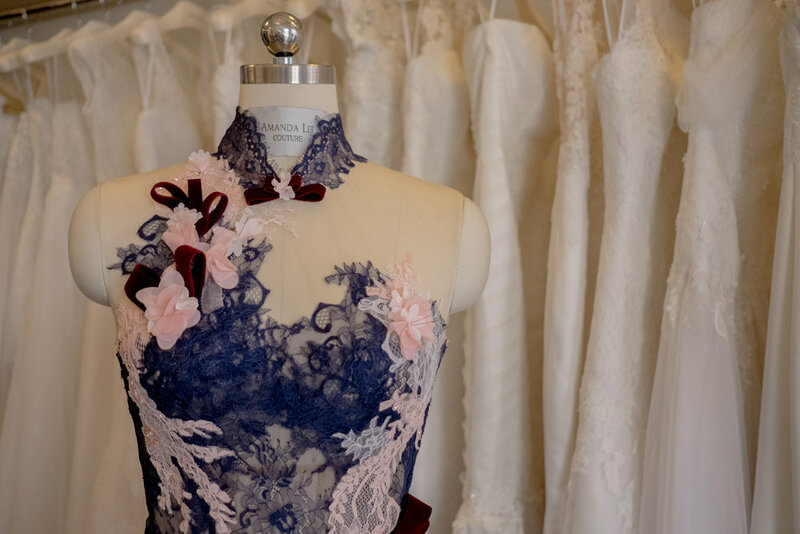 "Sportswear is something that I’ve always wanted to incorporate into bridal design; using materials such as jersey, ribbing and water-repellent nylon, to create gowns infused with more traditional lace appliqués." When we think of sportswear, we think of spandex and dry-fit. Sounds impossible, but we hope one day Miah will show us the vision he sees in a gown like that! And as Miah would have it, there's nothing too crazy in fashion, not even the person wearing it... Or is it? "A person I would love to design a gown for... Kim Kardashian. It will be quite a challenge to make her elegant!" and forming genuine relationships with his brides. "I really find enjoyment in designing and working with all my brides. I recall a couple who was very appreciative of how we customised her off-the-rack gowns specially for her, that they gifted me with a lovely custom-made bow-tie after her photoshoot. They even surprised me with a red packet after the wedding which made me feel very touched!" Without a doubt, our brides love Miah's jovial spirit and appreciate his trustiness when giving professional opinions. "Be true to yourself, but at the same time keep an open mind to our suggestions. Rest assured that we are sincere in making all our brides look their most beautiful for their big day." 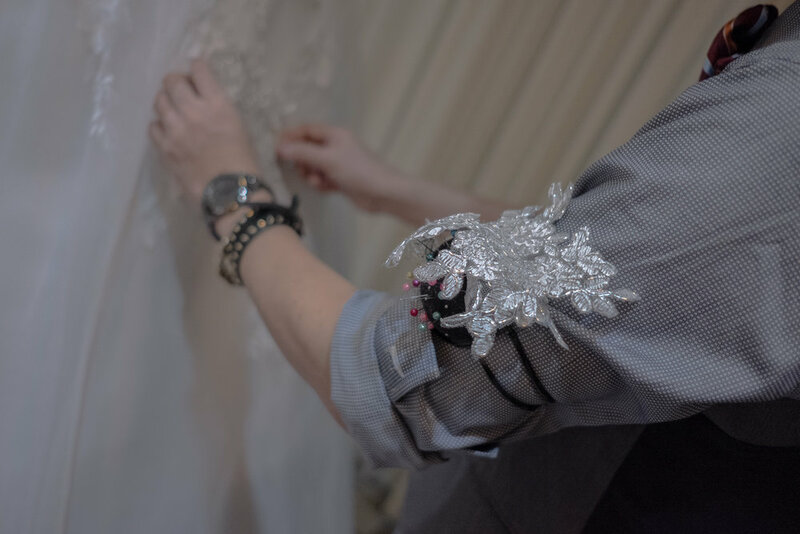 Find out more about Miah and his creations at Amanda Lee Weddings by making an appointment with us.